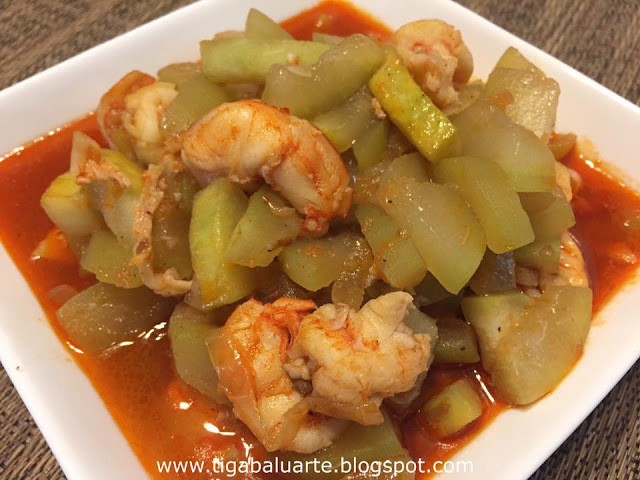 Ginisang Upo with Shrimp is an easy to make recipe made with upo, shrimp and some basic ingredients. Not only simple but a very tasting dish. Saute garlic and onion in cooking oil till caramelized. 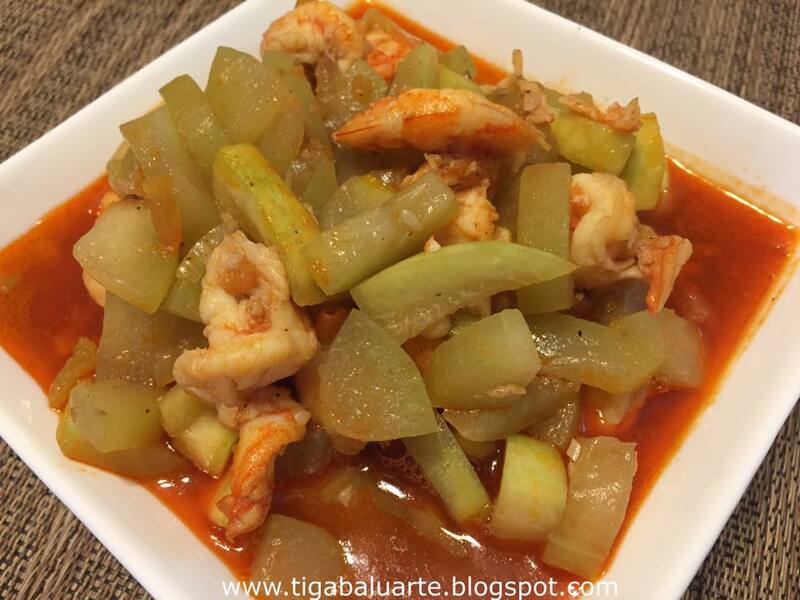 Add shrimp and cook for few minutes. Add water and season with salt and ground pepper. Bring to a boil over medium high heat. Once water starts to boil, add slices of upo and cook for few minutes or till upo is almost fully cooked.